Mara Siria Camp is a luxurious and eco-friendly safari tented camp in the north-west of the Maasai Mara. Located on the Siria Escarpment on the western border of this world-famous reserve, Mara Siria Camp offers the perfect starting point for your safari. Mara Siria Camp fits nicely into the natural environment of the Siria Escarpment and offers a unique opportunity to explore the natural beauty of the Masai Mara. Even after returning from a day out on safari the feeling of wilderness will be maintained. Electricity and hot water in the camp are produced environmentally friendly by a photovoltaic plant which ensures that you can relax and enjoy the natural sounds of the environment. Due to the high elevation (the camp is situated at 1,850 meters above sea level) there is a pleasant climate with warm days and cool nights. The Siria Escarpment is a malaria-free zone. In case you wish to “cool down” you can enjoy our plunge pool, which offers a spectacular view of the Mara River and the Mara plains. 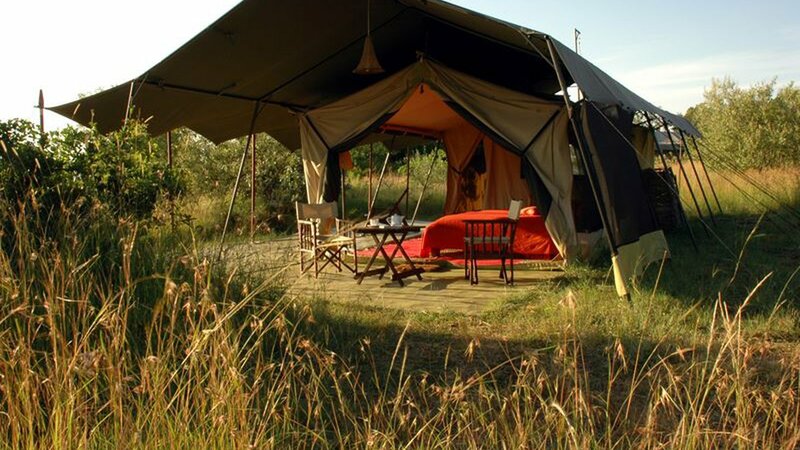 Mara Siria is an eco-friendly luxury camp with a total of 14 different tents and cottages. You have the choice between luxury tents, deluxe tents, Masai-style luxury cottages and from luxury double tents. Enjoy the dining in Mara Siria Camp at an unspoiled, natural and relaxing atmosphere. During one of most spectacular sunrise seen on this planet, you will be served your breakfast while enjoying the endless view into the Mara plains. The breakfast consists of fresh fruits, eggs of your choice, cheese and sausages. Lunch is mainly served as a buffet. you might like to enjoy a sundowner drink at the bonfire. Game drives will be carried out in our own specially designed 4×4 game-viewing vehicles driven by an experienced and multilingual safari guide. In addition to game drives you can choose a walking safari starting directly from the camp. Guided by a Masai warrior you will explore the flora and fauna and approach giraffes, zebras and impalas very closely. Other activities offered are mountain-bike rides, archery, hot-air balloon flights, day trips to Lake Victoria, scenic flights around the Masai Mara and more. In the vicinity of the camp is the Kichwa Airstrip from where scheduled flights to Nairobi (Wilson Airport) are landing and taking off.